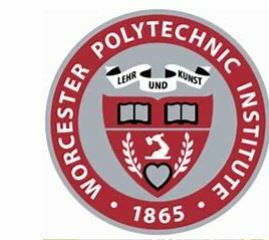 Worcester Polytechnic Institute (WPI) has announced that Elizabeth Younger of Avon, a member of the class of 2020 majoring in biomedical engineering and mechanical engineering, was named to the university’s Dean’s List for academic excellence for the fall 2018 semester. The criteria for the WPI Dean’s List differs from that of most other universities as WPI does not compute a grade point average (GPA). Instead, WPI defines the Dean’s List by the amount of work completed at the A level in courses and projects.